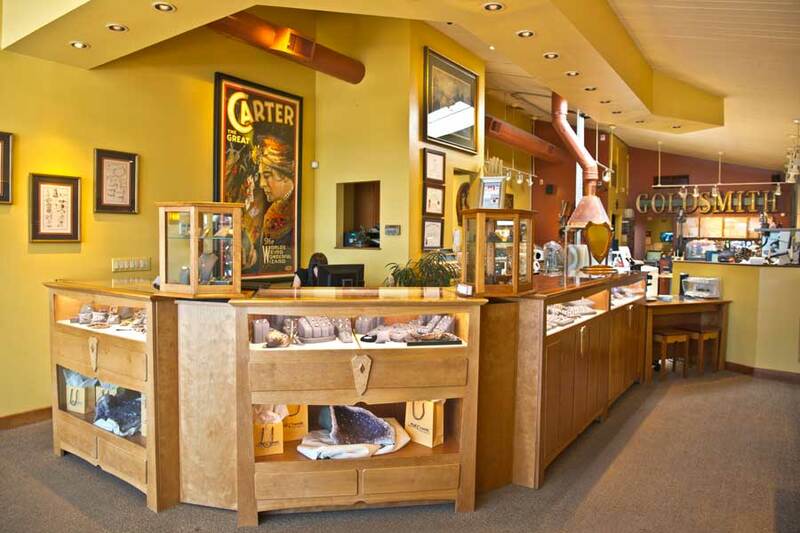 From the moment you walk in, you can tell Cronin Jewelers is more than your typical jewelry store. The front has the usual cases filled with necklaces, engagement rings and other fine jewelry, but the walls beyond are lined with shelves of jewelry molds. And in plain view are workbenches and machines such as kilns, 4-axis mills and casting machines. With this store, you know exactly where your jewelry comes from. 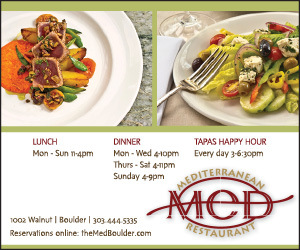 “Everything custom is done in-house,” says owner Bill Cronin. 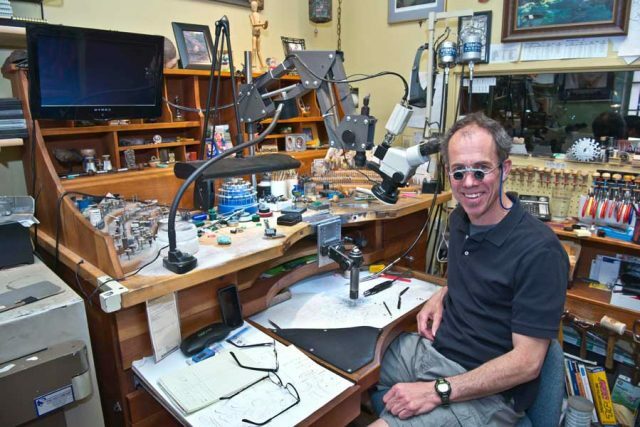 He’s created fine jewelry and done all the work on-site since he first opened shop in Boulder in 1980. While the store carries vintage and ready-made contemporary jewelry, it’s mostly known for custom work, Cronin says. A Jewelers of America certified master jeweler and a Gemological Institute of America (GIA) graduate gemologist, Cronin mostly works in gold and platinum. He and his team take pride in the detailed technical and artistic craftsmanship that happens in the shop. Because of that, a custom-designed piece can take between one and six months to complete. “Every client interaction is unique,” Cronin says. 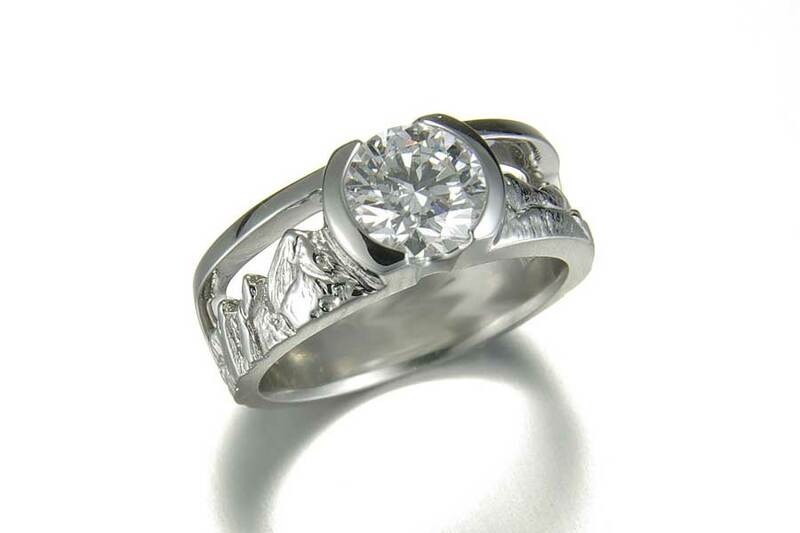 From the initial consultation to creating the design to carving or milling a wax model and then casting the metal, he and his team collaborate with customers to understand the story going into each custom piece. 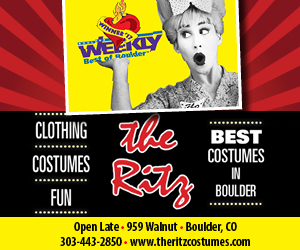 “They really care about the stories associated with designing the jewelry,” says Sallie, a customer from Wheat Ridge. 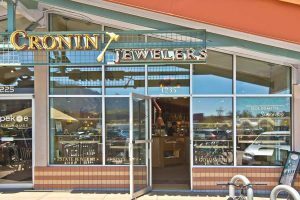 She and her partner, Barb, were initially drawn to Cronin Jewelers in 2002 after seeing a picture of one of Cronin’s trademarked Range Rings. They knew they wanted something similar but different. After working with Cronin, the couple ended up with matching rings that depicted Pikes Peak surrounded by a more generic mountain scene including water, trees and bears. Understanding the story behind the jewelry also allows Cronin to incorporate secret messages into the piece so only the wearer knows it’s there. For example, Cronin incorporated a stylized “25” into the back of a pendant commissioned to celebrate a 25th anniversary. One time he even designed a secret compartment to hide a fifth lotus petal that a customer requested but was at odds artistically with the rest of the ring. “We give them exactly what they want,” he says. Because of the relationships that develop through the design process, customers like Sallie and Barb come back to celebrate other occasions. “We get to be a part of their lives—weddings, anniversaries, kids. It’s really special,” says Cronin. 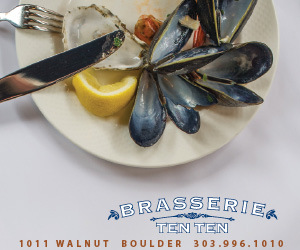 Much of what inspires Cronin is the natural beauty around Boulder. The Boulder Ring, a band that depicts the mountain range from Eldorado Mountain to Dakota Ridge, is just one of nearly 40 mountain-range rings he offers. 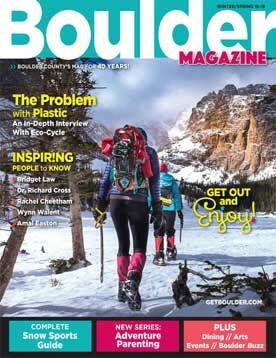 They vary from popular Colorado vistas, such as the Collegiate Peaks, to far-flung destinations like Denali. In addition to being inspired by nature, Cronin takes steps to operate in environmentally sustainable ways. “We try to be as ethical as we can when it comes to sourcing materials,” he says. He has been using recycled metals for the past 25 years, long before it became trendy and even though he pays a premium for certified-recycled metals. Ethics extend to the stones and gems as well. 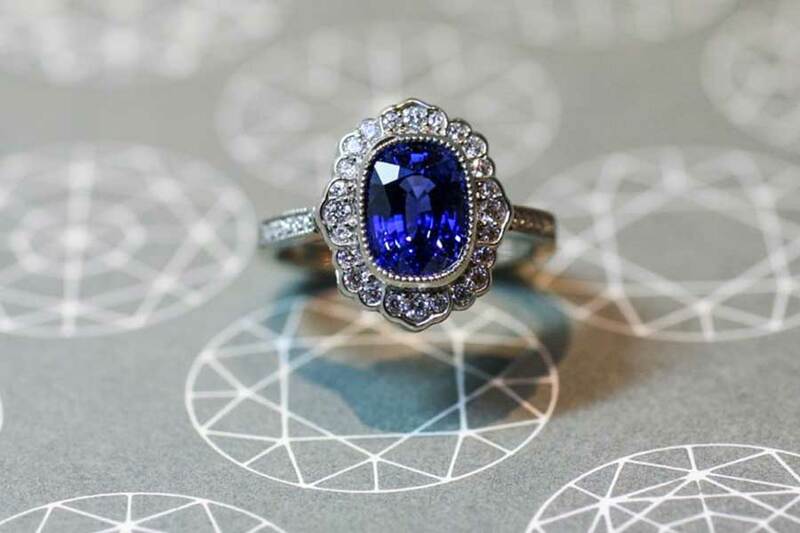 Cronin Jewelers works with ethically sourced stones, which include conflict-free diamonds that aren’t associated with civil wars and human-rights violations. The mining process can still be harmful to the environment, however, so in 2015, the shop started offering lab-grown diamonds. They are physically and chemically identical to the mined versions, but take months to develop instead of millions of years. Cronin Jewelers also practices the environmentally friendly option of reuse. 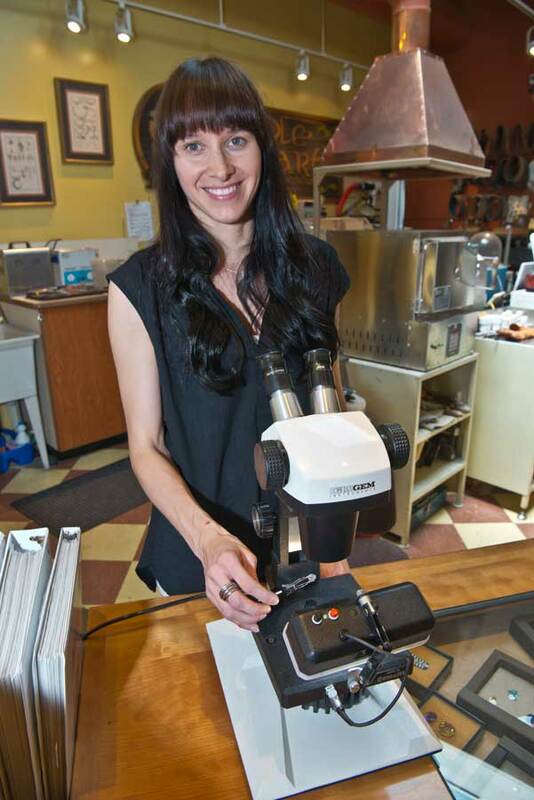 “We give pieces new life by reworking them,” says Laurel, who works in the front of the shop. One current offering is a geometric pendant modified from a vintage stickpin. In addition to their own creations and vintage pieces, Cronin Jewelers carries the work of select designers with similar views on quality and sourcing, such as the architectural lines from Antonio Bernardo; whimsical pieces from Anthony Lent; and organic designs from Sarah McGuire. 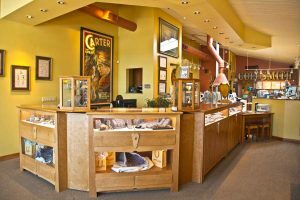 Whether it’s jewelry handcrafted on-site or by one of the designers carried in the store, customers at Cronin Jewelers know that their fine jewelry comes from a place that cares about quality, design and origin. 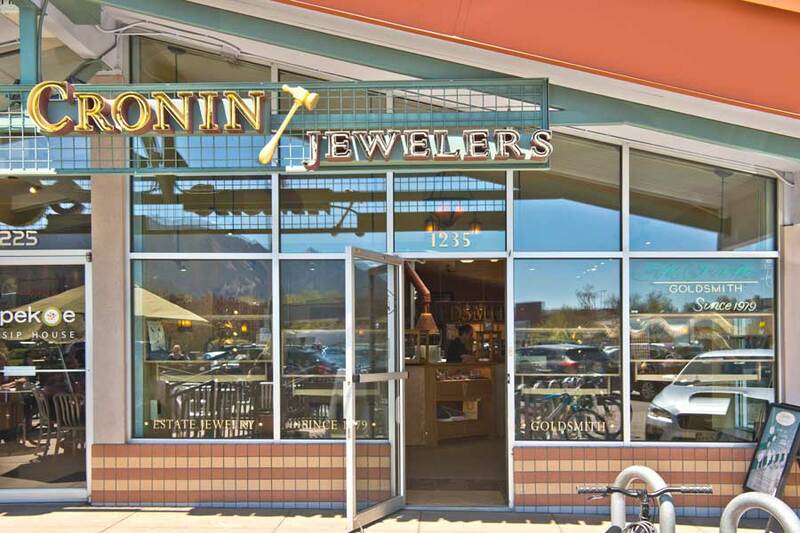 Cronin Jewelers (303-440-4222, www.croninjewelers.com) is located at 1235 Alpine Ave., Boulder 80304. It’s open Tuesday through Saturday from 10 a.m.-5:30 p.m.
Florence Connally is a freelance writer who calls Lafayette, Colo., home.